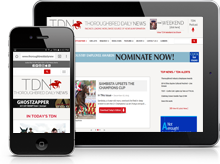 Leading sire Kantharos (Lion Heart–Contessa Halo, by Southern Halo) is moving from Ocala Stud in Florida to Hill ‘n’ Dale Farms in Lexington, Kentucky, Stonestreet Stables announced Thursday. Kantharos was leading first-crop sire in Florida in 2014 and was the state’s leading second-crop sire last term. 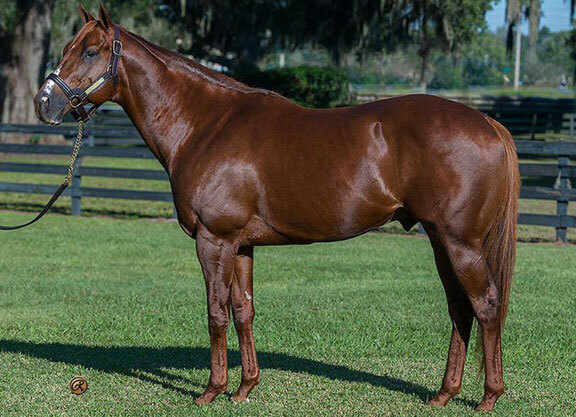 The chestnut is currently Florida’s leading active sire of 2016 and the Sunshine state’s second leading sire overall behind the recently deceased Wildcat Heir. His top progeny include MGSW sprinter X Y Jet, who finished a very close second in the G1 Dubai Golden Shaheen Mar. 26, and undefeated GII Lake George S. winner Ancient Secret. Trained by Steve Asmussen on behalf of Stonestreet Stables, Kantharos retired after his juvenile season in 2010 with a perfect record of three wins from three starts, including victories in the GIII Bashford Manor S. and GII Saratoga Special S.